Specializes in security project management, architecture integration, assessments, program development, awareness training, identity management,security event management. Focused on the development of solutions for security infrastructure management. Provider of services to facilitate security assessment and management of digital security assets. Integrator of enterprise security and systems management solutions, helping to coordinate, control, and centralise IT security management. Providing enterprise systems, risk management and information security services, applications and education with a focus on security management and international standards (BS7799 / ISO17799). Supplier of security products (including firewalls, email security systems, antivirus, anti-spam and desktop management software) and services such as security assessments. Provides a enterprise security management services and products, including BS7799 consulting, security intelligence and auditing. Collects information relating to security from your existing system components. Providing a real time overview of your system security and vulnerability. Citicus provides tools for information risk management to ensure that compliance with security policy can be monitored and enhanced. Provides an array of security related services as well as overall security oriented management consulting. Manufacturer of Activeworx Security Center, a feature-rich security event management solution to handle enterprise network events. A centralized and distributed framework facilitates event management, event correlation, reporting and detailed forensic analysis. Provides controls auditing, penetration testing and enterprise security management. Robotic security system that provides physical security, fire watch, intrusion detection, and facility management. Designed to automate mundane, repetitive, and hazardous tasks of the foot patrol guard. Provider of consulting and assessments specializing in both deployment and management of information security. Enterprise security services provider, offering design, consulting and management of security infrastructure. Specializes in security, compliance and risk management including penetration tests, IT audits and security assessments. Typical headings for a security policy aligned broadly with the ISO/IEC standard for information security management systems. Information security consultancy firm specialising in penetration testing, security review, policy development and vulnerability management. Offers ISO/IEC 17799 compliant information security policy and management systems, security architectures, secure applications and networks. Develops appliance-based network security solutions for medium and large enterprise class networks. The security solutions provide a modular, scalable, and unified enterprise security management. Site includes features, benefits, datasheets, ordering and contact details. Providing Global Security Solutions - GPM has created a unique suite of PC-based security software applications called SecureAssess. The SecureAssess product line takes full advantage of current mobile technologies to provide clients with tools to effectively address their security vulnerabilities. Knowing how and what to protect and what controls to put in place is difficult. It takes security management, including planning, policy development and the design of procedures. Specialize is developing network security software for all needs with credential management, strong authentication, console security and password reset tools. If the business hours of Altiris in may vary on holidays like Valentine’s Day, Washington’s Birthday, St. Patrick’s Day, Easter, Easter eve and Mother’s day. We display standard opening hours and price ranges in our profile site. We recommend to check out altiris.com for further information. 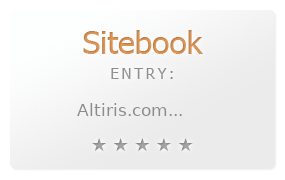 You can also search for Alternatives for altiris.com on our Review Site Sitebook.org All trademarks are the property of their respective owners. If we should delete this entry, please send us a short E-Mail.